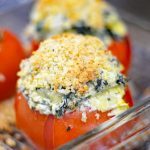 I can’t remember a time when such a simple recipe wow’d me, but this Spinach Artichoke Stuffed Tomatoes Recipe did. What I loved was that I was able to make them in advance and later on, just stick them in the oven to bake. Simple recipes are the best, aren’t they? 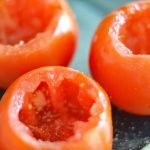 You’ll need to begin with nice big, firm slicing tomatoes. Mine were really big, so I only did three but the filling would easily accommodate four in this 8″ x 8″ pan. You’ll want to remove the tops and scoop out the center for stuffing. I season at this point with salt and pepper. 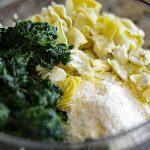 Process the vegan cream cheese mixture in a food processor. This helps to lighten the mixture. Combine all of the filling ingredients in a bowl and stir to combine. 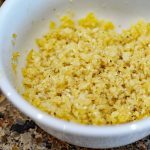 In a small bowl, combine the breadcrumbs and vegan margarine. 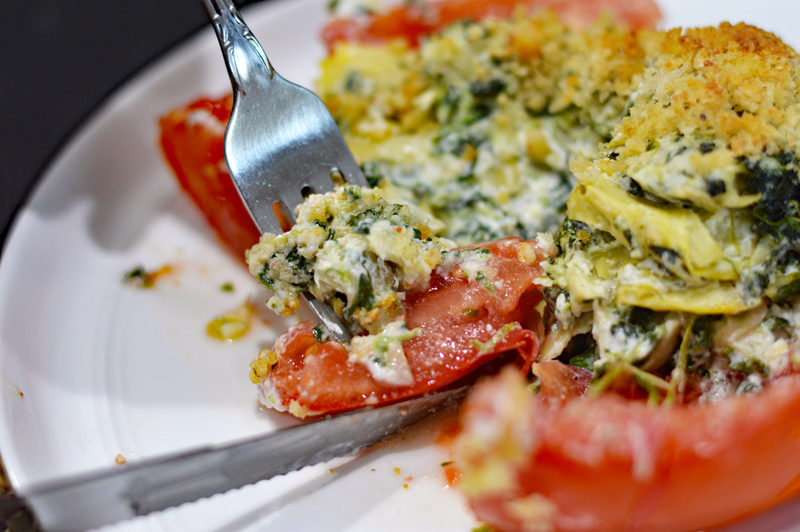 I like Italian-flavored Panko breadcrumbs for this recipe because they add flavor. If you cannot find anything but plain, just add Italian seasoning to taste. 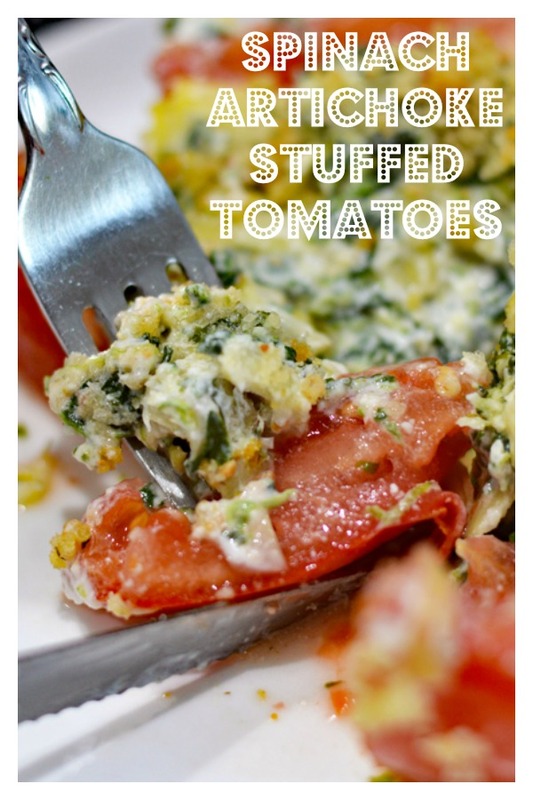 Using a spoon, stuff the tomatoes. 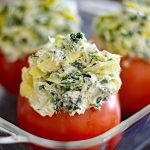 Again, you could easily have made four medium tomatoes with this filling. Top with the breadcrumb mixture and bake. 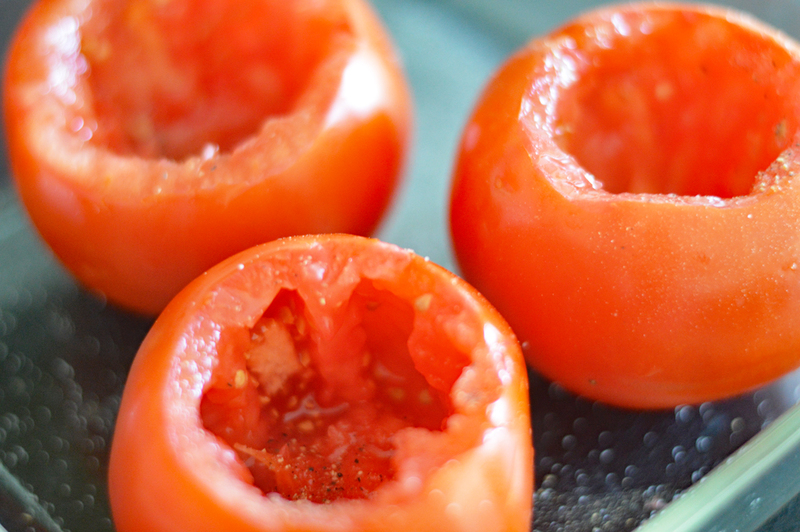 You’ll want to be sure the filling is hot and the tomato is cooked. A good indicator is that the skin will start to split. You can also use a sharp paring knife to check for doneness. These were SO good! 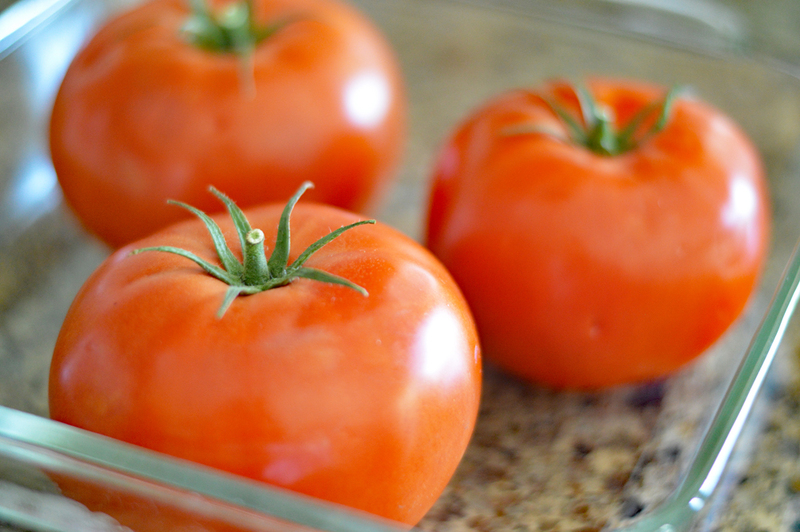 We served them as a meal, but they would also make a great side dish. 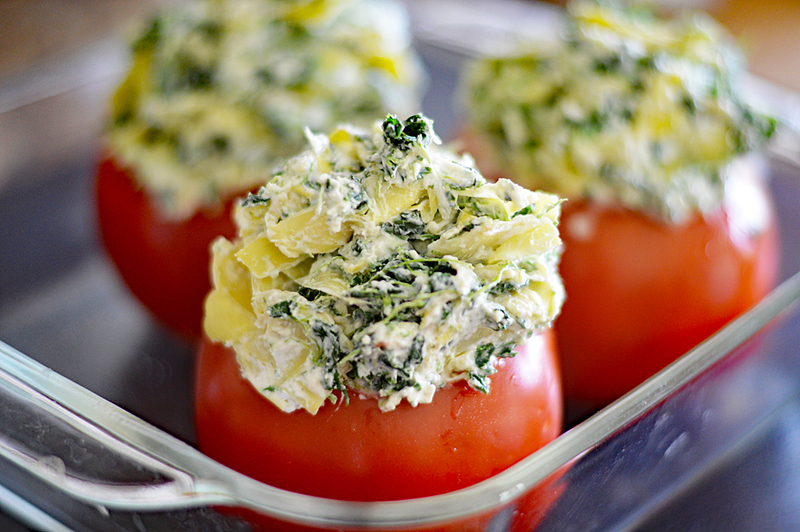 Or in small tomatoes as appetizers for your next get together. Cut off the tops (stem end) and carefully scoop out the pulp and seeds. Season the insides with salt and pepper. Set aside. 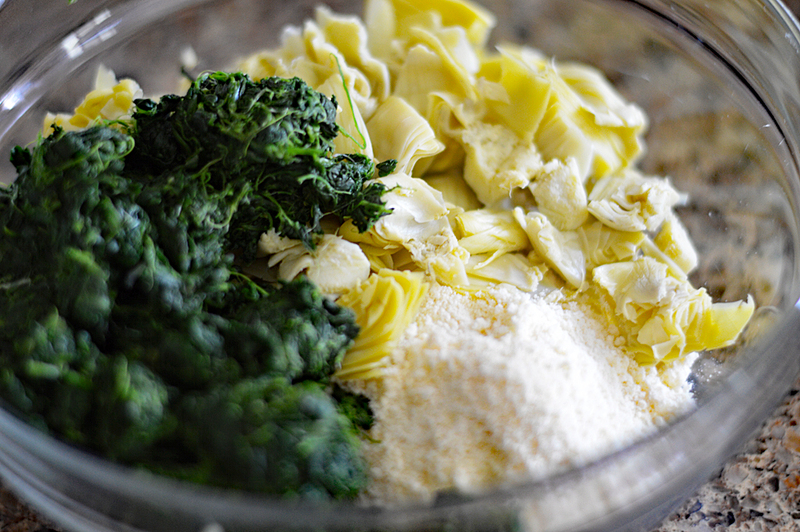 In a medium bowl combine the chopped artichoke hearts, chopped defrosted and drained spinach, as well as the scallions. In the bowl of a food processor add the vegan cream cheese, vegan margarine, vegan sour cream, salt and vegan Parmesan cheese. Process until smooth and light in texture. 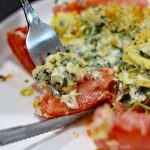 Fold this vegan cream cheese mixture into the spinach mixture just until combined. 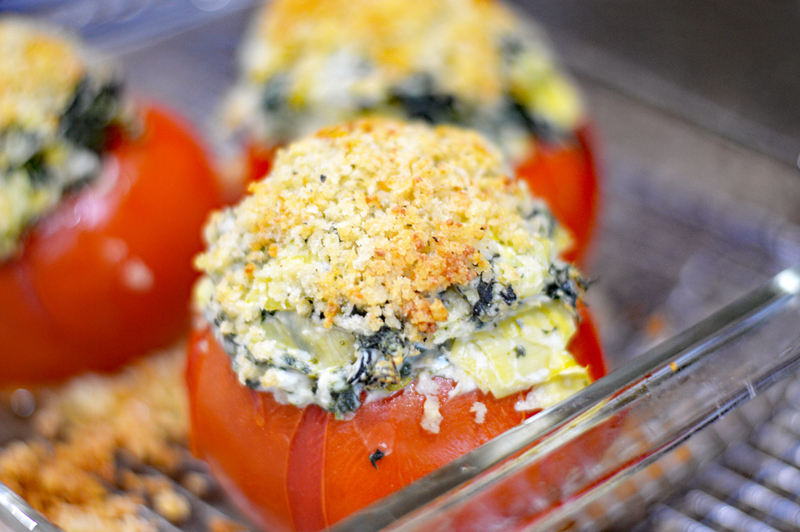 The stuffed tomatoes can be completely made ahead of time. Just cover with plastic wrap and place into the fridge! Remove the plastic when ready to bake. 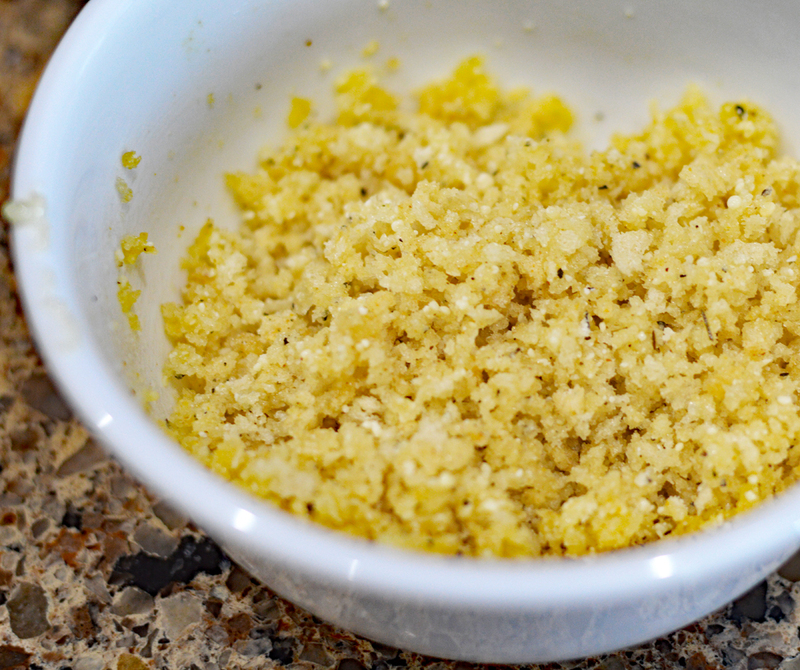 Mix together the panko crumbs and melted vegan margarine in a small bowl. Set aside. Spray a 8" x 8" pan with cooking spray. 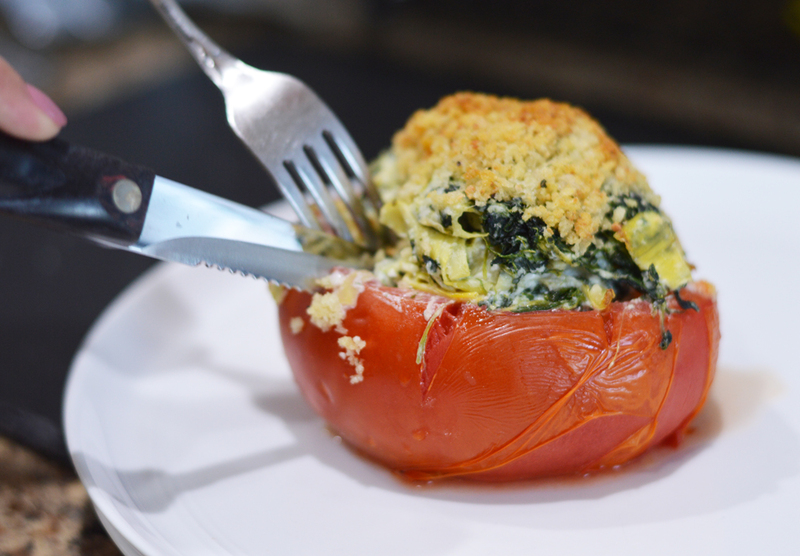 Stuff tomatoes with the vegan cream cheese spinach mixture and top with the panko bread crumb mixture. If making ahead, I would leave these off until just prior to baking. Bake for about 15 minutes or so. You may need longer if they are still cold from the fridge. Using a sharp paring knife, you can test for doneness. Be sure the filling is nice and hot and the topping is golden brown. Scallions are gorgeous, but I have a full garden of spring onions, so that’s the only replacement I’m going to make. Thanks for an awesome idea.